As flagged in my last newsletter, Penguin Books has decided to bring out a new adult edition of my book Young Digger. While the text will remain much the same, the edition will be in a larger paperback format, with a new cover design, a planned extra four pages of photographs, and a new Introduction. Publication date is scheduled for June next year, but I'll keep you informed. As many of you may know, the story concerns a little French war orphan, 'Henri Hemene', who was adopted as a mascot by some Australian airmen at the end of the First World War and smuggled back to Australia. It was first published in 2003, and is very much a companion book to Soldier Boy, The True Story of Jim Martin the Youngest Anzac. It was rather dispiriting when Young Digger went out of print earlier this year, having reached the end of its run for school readers, and the decision by Penguin to reissue it for the adult market is particularly welcome. I've always thought the story is more suited to adult readers. Certainly young people enjoy the adventure of smuggling the boy aboard ship in an oat sack and hiding him on the lower deck; but the emotional impetus that drives the action is essentially a grown-up one. It's the parent in us: we want to get the boy home – to see him safe – as it did to air mechanics Tim and Ted Tovell in 1919. Moreover the updated edition will give us the chance to incorporate some of the new material that's come to light over the past decade or so – in particular new photos from David Daws and others (see here), and Digger's place in the ethos of the recently re-formed 4 Squadron RAAF. I plan to visit the Squadron base and also the Tovell family archives soon, and will report back in the next newsletter. Editorial production of For Love of Country is now in full swing at Penguin Books in Melbourne. 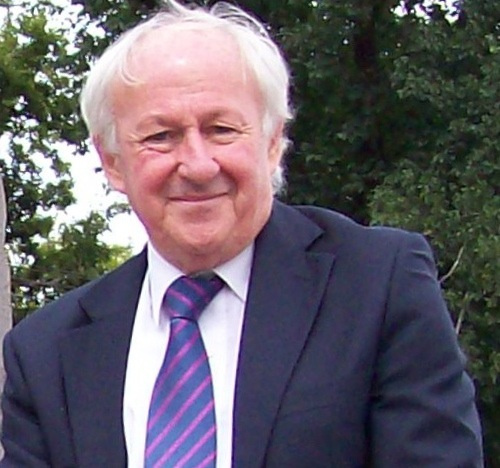 Having sent the final draft to the publisher at the end of July after working on content and form with editor Suzanne Wilson, the copy edit for style, punctuation, glitches and so on has now been completed – and I must say the editorial response has been very positive. The manuscript is coming to me for the author's once-over plus various corrections of my own, and is due back with the publisher by mid-November. It will then be set – or more properly formatted in these electronic days – and the first of the page proofs printed for everyone's eagle eye to read for typographical errors. The cover brief has gone to the designers, and I'm looking forward immensely to seeing what they come up with as a compelling image for this long saga that spans almost a century of family, farming, love and warfare. Meantime Ali Watts, with whom I worked on The Shadow Dog in 2003, will oversee publication of For Love of Country. She replaces Andrea McNamara who has left Penguin (see Winter newsletter here). Ali is the daughter of Julie Watts, who edited my first book The Bunburyists at Penguin 30 years ago, who went on to become one of the great Children's Publishers, and is still a dear friend. Australia Post has advised that it will again be selling some of my military books as a special promotion around the Anzac Day commemoration next year. The titles include Soldier Boy, Animal Heroes and The Story of Billy Young – the new edition of Young Digger will not yet be available, and For Love of Country is published in April (see Winter newsletter here). Helene Hanff in her lovely book 84 Charing Cross Road remarks that if you're looking for the England of English literature on a visit to that country, you'll certainly find it. This is very true, as we discovered on a recent trip to celebrate our 50th anniversary with Jill's family, who weren't in Australia when we married half a century ago (which isn’t long if you say it quickly). I thought you might be interested in a few of our own literary snaps over coming months. 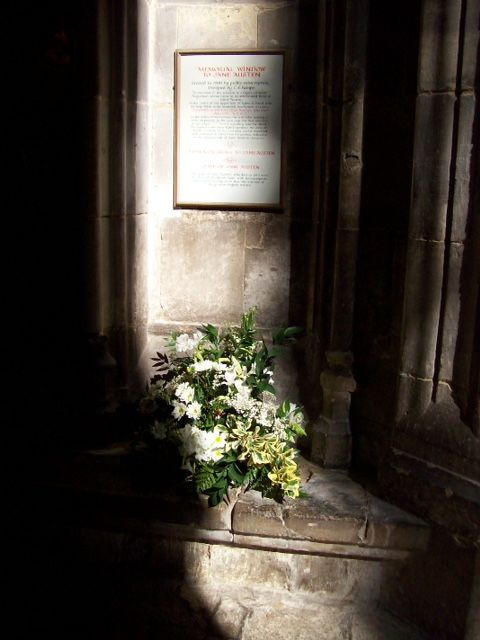 First, a pretty shot of sunlight shining through the clerestory in Winchester Cathedral directly onto the memorial tablet and fresh flowers placed for Jane Austen, who is buried nearby. I didn’t come to her novels until I was in my 30s: but having done so, they remain among my treasures of literature. The memorial stone on the cathedral floor has a very long and effusive panegyric to the sainted Jane from her family, which curiously fails to mention that she was a writer – one of the greatest in the language. Equally strange for the modern reader, unused to the old-fashioned f in place of an s, is the last line, which trusts Jane’s purity etc. will have Rendered her foul acceptable in the fight of her REDEEMER. Another curiosity – at least for us – is the house where Jane Austen died in 1817. 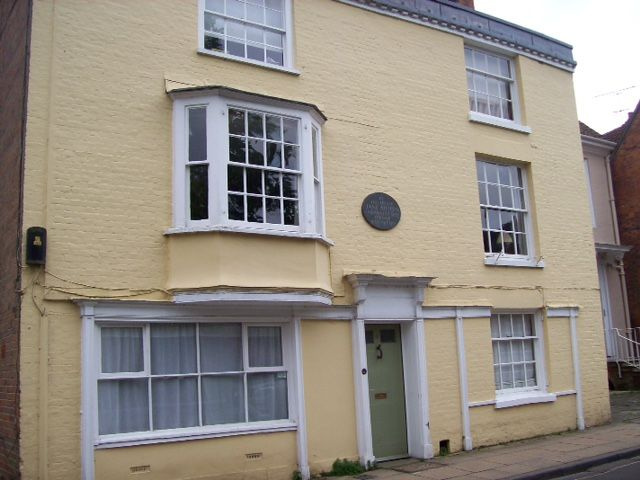 It’s in a small side street, just off the cathedral close, and it has a plaque on the wall above the front door informing the many literary pilgrims that this is indeed the place where the lady died. No less remarkable is a handwritten sign in the front window, which has been there for years, advising tourists that THIS IS A PRIVATE HOUSE AND NOT OPEN TO THE PUBLIC. Me, I’d have a ticket box at the door, the place fitted up as a museum, and a video recording in the death room with an actor in costume reciting Cassandra Austen’s famous letter describing the melancholy scene as her sister breathed her last. Booker prize: Marlon James whose novel A Brief History of Seven Killings won the 2015 Man Booker Prize for Fiction. Marlon is the first Jamaican writer to win the prestigious and valuable award. Now aged 44, he lives in Minneapolis. His large and complex book is a fictional history of the attempted murder of the singer, Bob Marley, in 1976. · Eve Pownall Award for Information Books: A-Z of Convicts in Van Diemen’s Land written and illustrated by Simon Barnard (Text Publishing). Warm congratulations to all who were considered. The full list, including Honour Books, can be found at the CBCA site here. 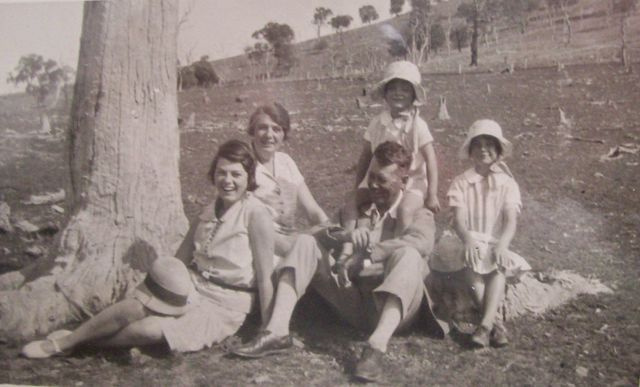 The repository of children’s books, manuscripts and illustrations at the University of Canberra, formerly known as the Lu Rees Archives of Australian Children’s Literature, has changed its name to The National Centre for Australian Children’s Literature. Its aim is to become the principal collection of children’s literature in the country. The name of its founder, the Canberra bookseller and collector, Lu Rees, will continue to be honoured in the Centre’s history, in a long-established award in her name, and in other ways. I’ve deposited copies of my own children’s books with the Centre, though my manuscripts and papers are with the National Library of Australia, which also has a fine collection of children’s literature, including the Kerry White and Marcie Muir collections. 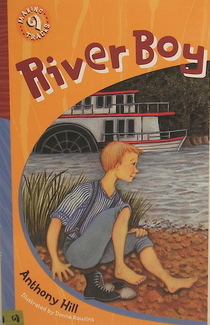 I have six copies left of River Boy – a little adventure story for young readers about the Murray Riverboats – if you're looking for a Christmas stocking filler. The price is $5 plus $1.40 postage. The books each come with a complimentary bookmark, and I will sign them as you wish. Excess postage for multiple books will be refunded. As usual, I will bring out a Christmas Newsletter with an extract from my writings for a little holiday reading.